Photo courtesy of zimbio.com. Not too many people knew who Philip Humber (pictured above) was heading into Saturday. After tossing the 21st perfect game in MLB history, Humber has become a household name. Saying last week was a great one in sports would be an understatement. 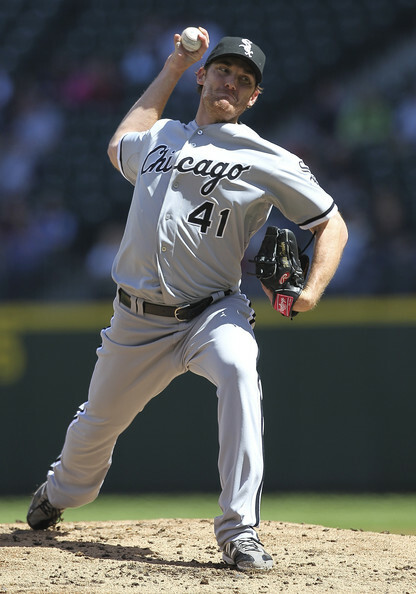 Philip Humber became a household name when he tossed a perfect game on Saturday. Rafael Nadal finally conquered his Djokovic fears in taking home his eighth consecutive Monte Carlo title on Sunday. And the NHL playoffs have not been too shabby in their own right. Want to know the best part? This week should be even better than last. Here are the events to keep an eye on. 5. Rafael Nadal seems to have regained his “swagger.” Or at least he temporarily slayed his Djokovic fears in Monte Carlo. Next stop, Barcelona. It is no secret that Rafael Nadal, a six-time French Open Champion, is God-like on the clay. This is his time of year. A little over a month from now Roland Garros will be the place to be. Make sure to enjoy the Barcelona stop of the clay-court season this week. TheSportsKraze and receive notifications of new posts by email.